Florida Gov. Rick Scott (R) has announced a series of education proposals that includes a review and public hearings of his state’s version of the Common Core standards and the standardized assessments that were the signature accomplishments of Jeb Bush when he was governor. As the Associated Press reports, on Monday Scott said he will create an independent committee to review the state’s academic standards which are essentially a “rebrand” of the Common Core with a few tweaks. However, as public opinion of the controversial nationalized standards has plummeted, the new committee could be making additional changes. Scott has also directed education commissioner Pam Stewart to perform a “thorough and comprehensive investigation” of the use of student performance on standardized tests, which Bush used to grade schools and implement sanctions and rewards. The Governor also plans to address higher education by forcing state universities to disclose more information about their courses and fees. Much of what Scott is proposing is meant to draw a line between himself and challenger Charlie Crist, who was first a Republican, then an Independent, and now a Democrat. Crist, like Bush, is pro-Common Core. 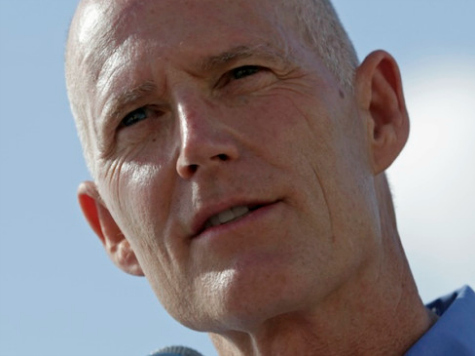 Last week, Scott promised a $700 million increase to public schools for 2015, which represents a $50-per-student increase in funding over the amount during Crist’s first year in office when he was governor of Florida.